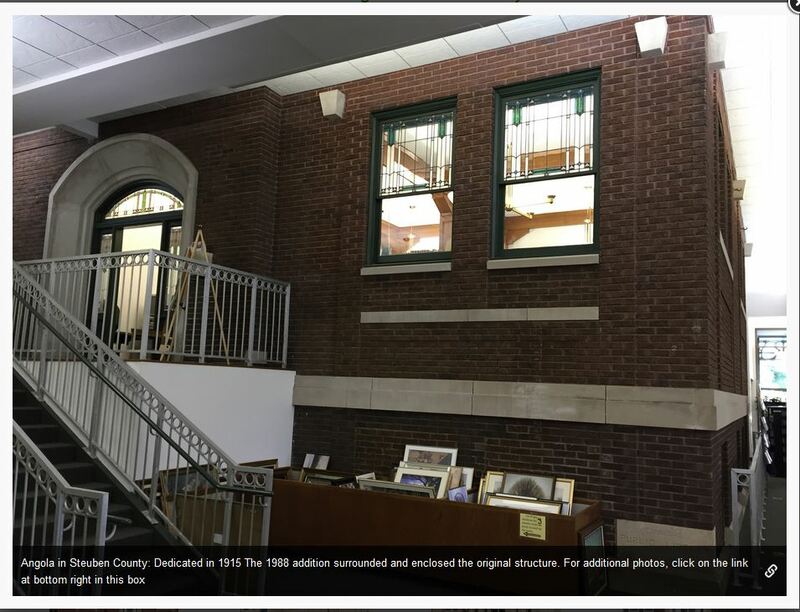 I went looking online for some photos of the library in Indiana where I used to work, and I kind of stumbled on something almost magical. 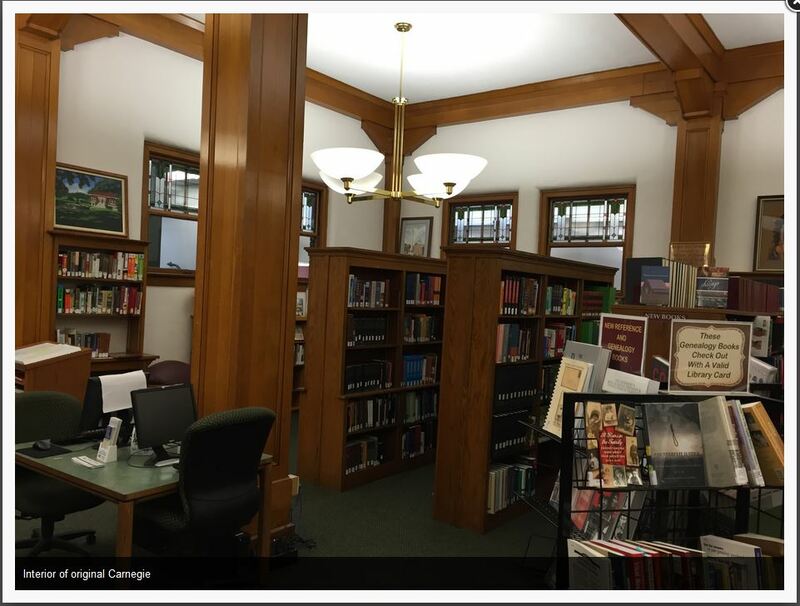 Andrew Carnegie endowed 164 public libraries in Indiana, more than in any other state. Most are still standing, and most are still used as public libraries. 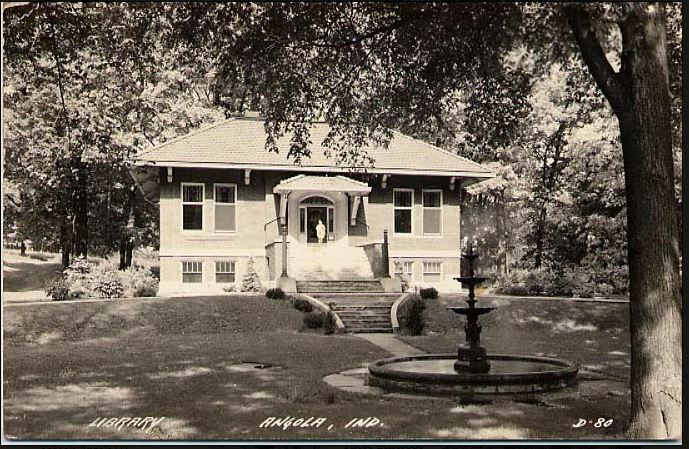 The Carnegie Public Library in Angola, Indiana, was built in 1915. 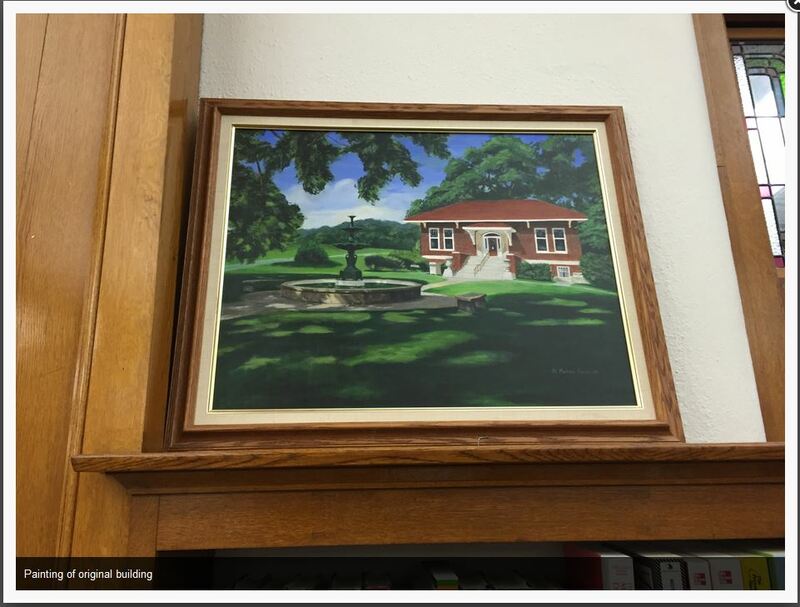 A handsome fountain was donated to grace the park in which the library sat. I don't know the date of this photo but this is basically what the library looked like when I worked there in 1985. 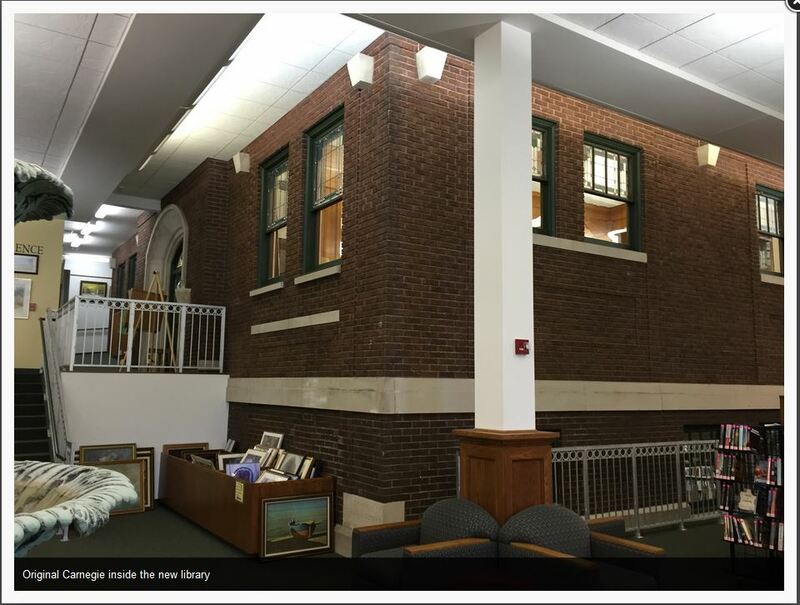 The downstairs was the Children's Library, which was reached either from the outside via stairs at the back of the building or an interior stairway . . . also at the back of the building! I remember this painting, but I can't remember where it hung when I was there. The expansion was done in 1988, three years after we moved. They basically enclosed the entire original building. And the original interior, where I spent many, many, many hours long before I worked there!